I've enjoyed some of the author's other works so when this popped up as a freebie I could not resist. This was a short novella that follows Ceana and Luthais. Ceana is an orphan living with her uncle and his family. The uncle is suspicious. The aunt is an enabler. The cousin is a snot. 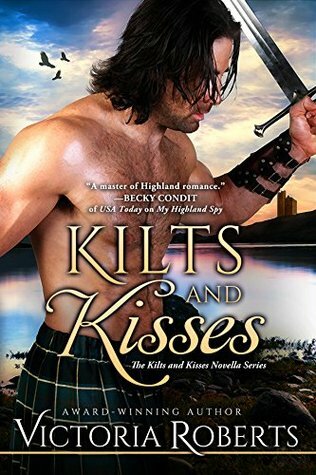 Luthais is being forced to find a wife since he is next in line to be the Laird of the MacKay line. Things happen and Ceana and Luthais fall in love but there are innocent misunderstandings that happen. They were a cute couple and I'm glad they didn't let the misunderstandings really pull them apart for long. They communicated and it was resolved. Yayy! A couple that talks through the issues. That is a rare gem. They will last I know it! I want a HEA for the snotty cousin, because I feel like in the end she redeemed herself. Maybe she'll get with Luthais' friend. That would be cute. She needs a guy like that to keep her in line. The big twist/reveal bothered me. I had my guess that it would happen, but I really feel it is overplayed and an easy way out. This was a fun, short read. Don't expect a huge crazy story. Just a love story with some betrayal and redemption. I do want to read the next one. I'm not sure who it is about, but I'm still curious. I'll give this....mmmmmmm 4 stars. She is good with her Highlanders! Sounds nice - I like couples who actually talk to each other and solve problems without much drama.